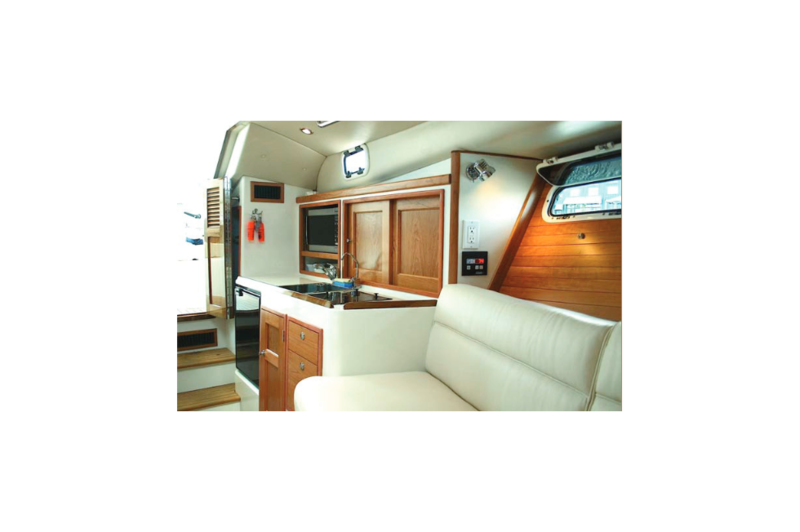 The reason we go boating is to get outdoors and enjoy the fresh air. 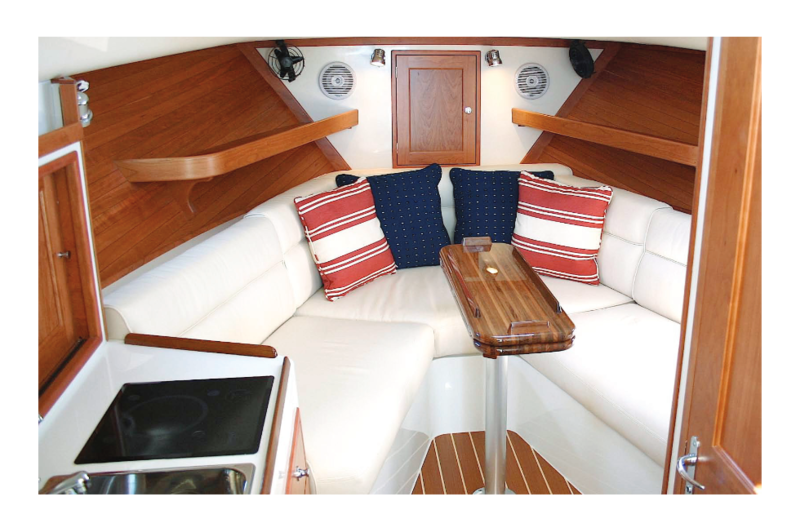 The 29z accomplishes this in spades by having large StrataGlass pilothouse side windows that roll up and are strapped in place. 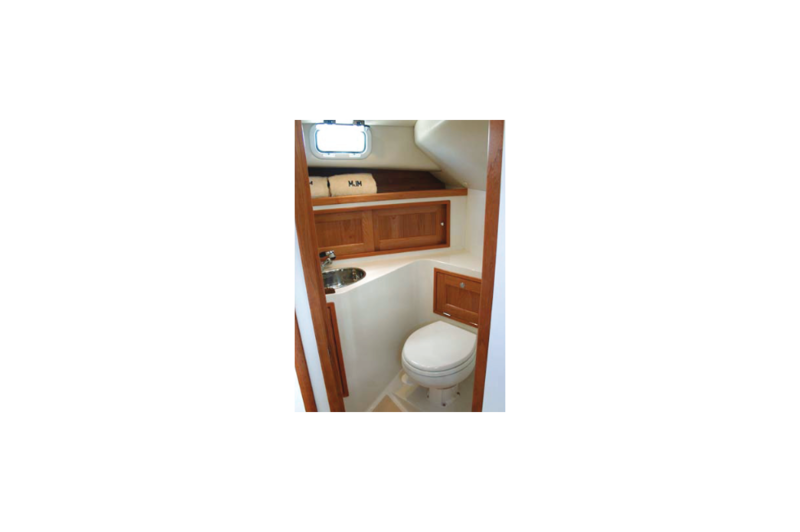 One additional benefit of this configuration is the ability to lean out from the wheel to loop a midships dockline over a cleat on the dock to secure the boat. 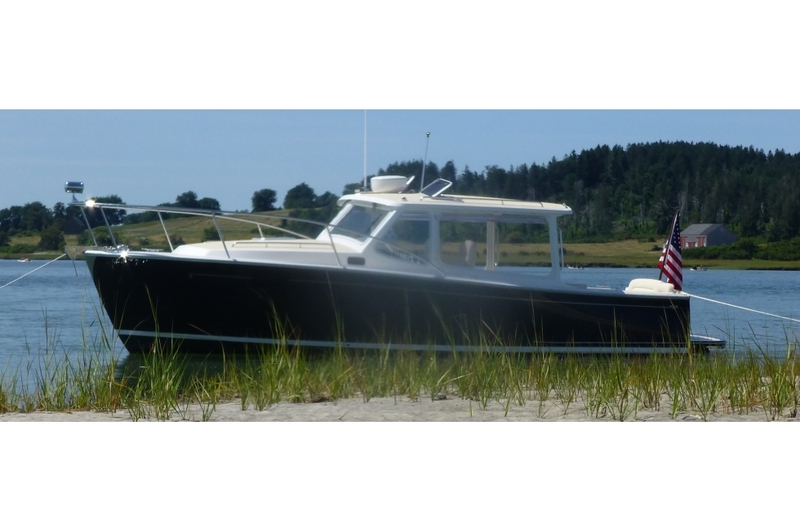 You can also use the Maine lobsterman's technique for picking up a mooring buoy in rough conditions: Keep a dock line running outside the bowrail stanchions from the bow cleat to the midships cleat; approach the wand on the pickup buoy on the starboard side; lift up the buoy and work down to the eyesplice in the mooring pennant; put the end of the line (running from the bowcleat) through the eyesplice and secure the end of the line back onto the midships cleat; back the boat down, letting the mooring eye run forward to the bow; shut the engine down; walk forward to secure the mooring-- a maneuver difficult at best on other powerboats. The Express model offers an alternate styling with the opportunity to provide additional solid-glass protection for rougher water, higher speed operation while still have the flexibility to open up the sides, back and windshields for optimum control of ventilation. 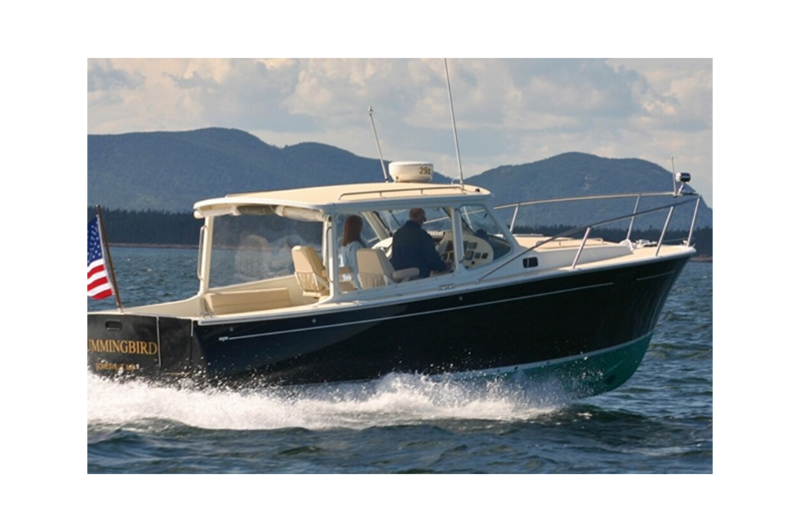 Apart from the design of these pilothouse side windows, the Downeast and Express models are alike. 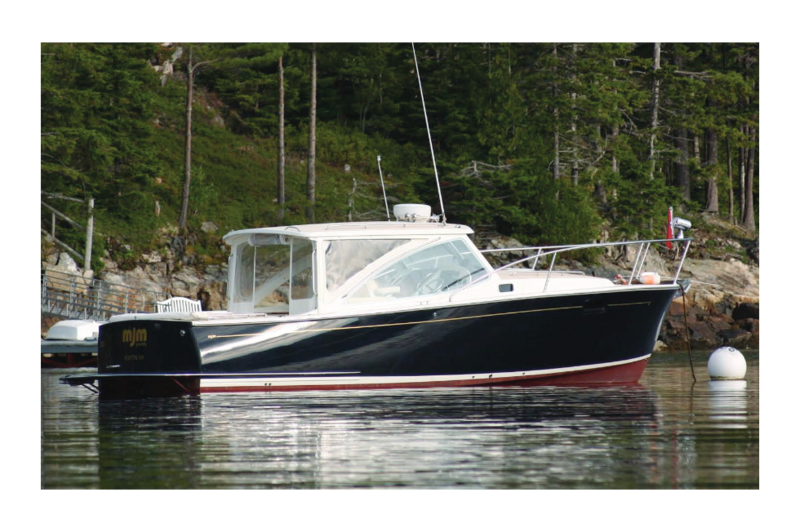 The MJM Yachts 29z (LOA 32.4’) is built without compromise and is the only boat in its class specifically designed to maximize fuel efficiency, with a leading edge, high-tech epoxy wet pre-preg Kevlar/E-glass/Corecell composite laminate, vacuum-bagged and oven-post-cured. This is a building method perfected over 25 years by Boston BoatWorks in building custom racing yachts, including America’s Cup contenders where cost was no object... winning was everything. It’s more costly, but of significantly higher quality. 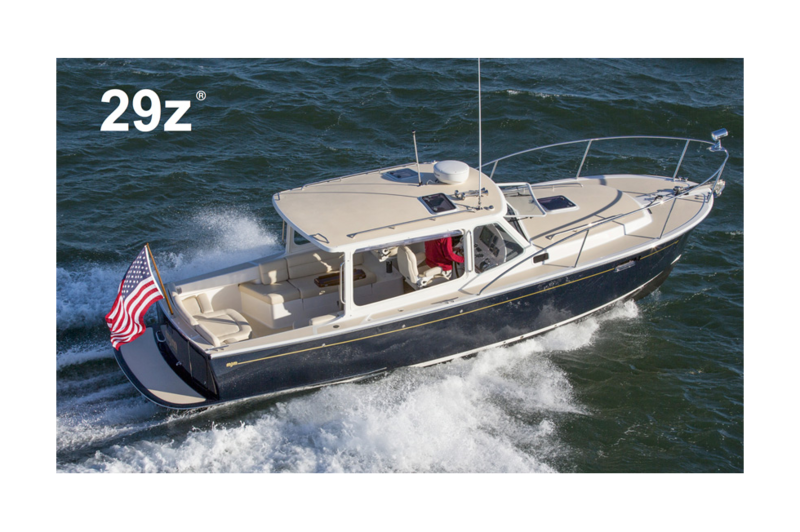 29z is stronger and lighter than other boats built with conventional fiberglass or SCRIMP construction, primarily because epoxy has 3x the flexural strength of polyester or vinylester resins. Furthermore, 29z is certified by the International Standards Bureau in Brussels, Belgium as a CE Mark Category B Offshore Power Yacht. 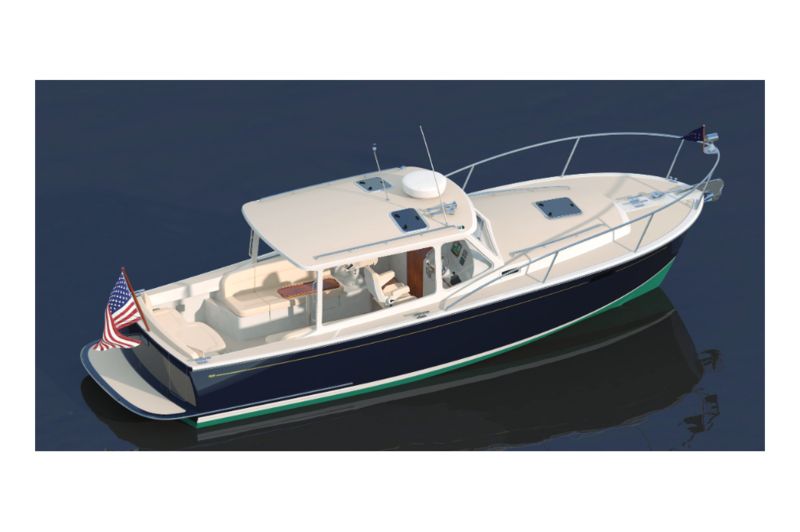 A length to waterline beam ratio greater than 3:1 allows a better transition from modified V-shaped hull with knife-like entry to an 11-foot long planning surface with 17-degree deadrise, producing a softer entry into waves than is possible with wider boats. 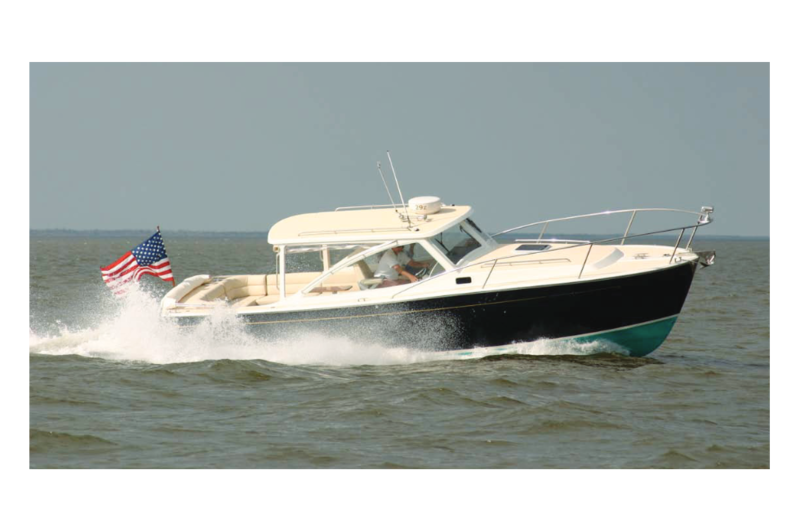 29z’s bow flare, apart from directing airflow out and away from the pilothouse and cockpit, works its magic with spray and waves, keeping guests dry. Reserve buoyancy of the flare keeps the bow up when running fast down into the backside of waves, eliminating severe yaw (bow steer) to one side or the other ... solving the problem of many Downeast or deep-V designs which have deep fore-foots and/or keel, shapes that impart too much directional control of the hull, resulting in delayed helm response. 29z steers with the secure, predictable touch of a sportscar, properly leaning into turns and handling large seas. Bow thruster and trim tabs. 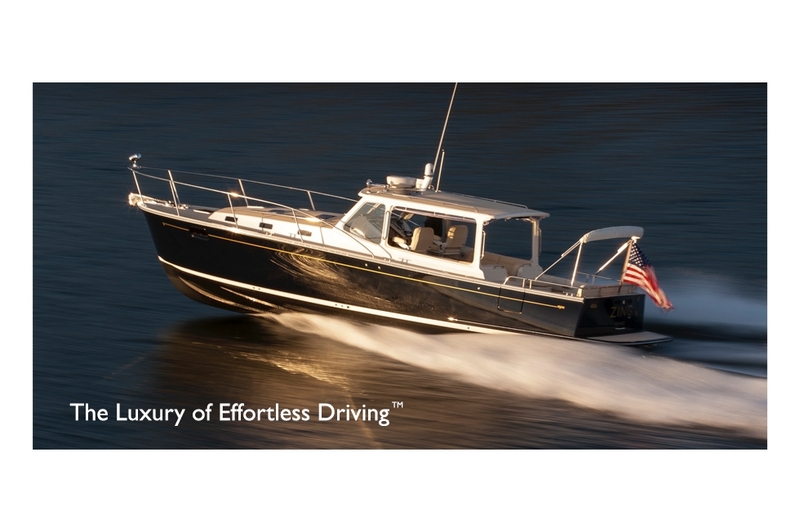 Best-in-class fuel mileage- environmentally friendly fuel-efficiency, a very "green" 3 nautical miles per gallon at 25 knots.